Referring to the aerial dogfight with the Indian Air Force after the February 14 Pulwama attack claimed by Pakistan-based Jaish-e-Mohammed, Pakistan Army spokesman Major General Asif Ghafoor said Indian jets violated Pakistani airspace on February 26. 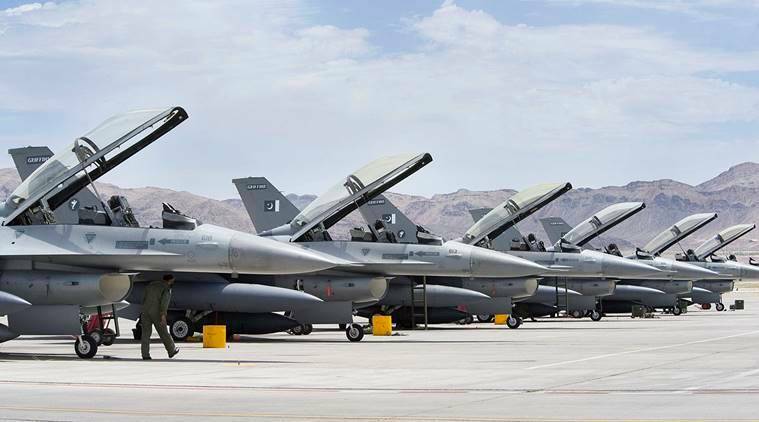 Pakistan’s military has rejected India’s claim that it used US-made F-16 fighters jets against India in retaliation to its pre-emptive strikes on a JeM terror camp in Balakot, saying that JF-17 Thunder combat aircraft developed jointly with China were used in the operation. A day after Pakistan’s attempt to retaliate the Indian Air Force’s air strikes at a Jaish-e-Mohammed terror camp in Balakot, the Indian armed forces displayed parts of an AIM-120 AMRAAM (Advanced Medium-Range Air-to-Air Missile) fired by an F-16, which fell in Indian territory. New Delhi had also underlined that electronic signatures captured by Indian radars had established the use of F-16 for the offensive. “The aircraft which engaged those targets and fought them were JF-17. As regard to how to use F-16, in what context [they] were used or not — because at that point of time our entire Air Force was airborne — now it remains between Pakistan and the US to see how the MoUs regarding the use of F-16 have been adhered to or otherwise,” Ghafoor told Russian news agency Sputnik International.